Description: Hijra's Guru opens the Nakadia Festival, which celebrates Happiness and Togetherness. Hijra's are invited to dance through the streets till early morning. Varanasi, India. Caption: Hijra's Guru opens the Nakadia Festival, which celebrates Happiness and Togetherness. 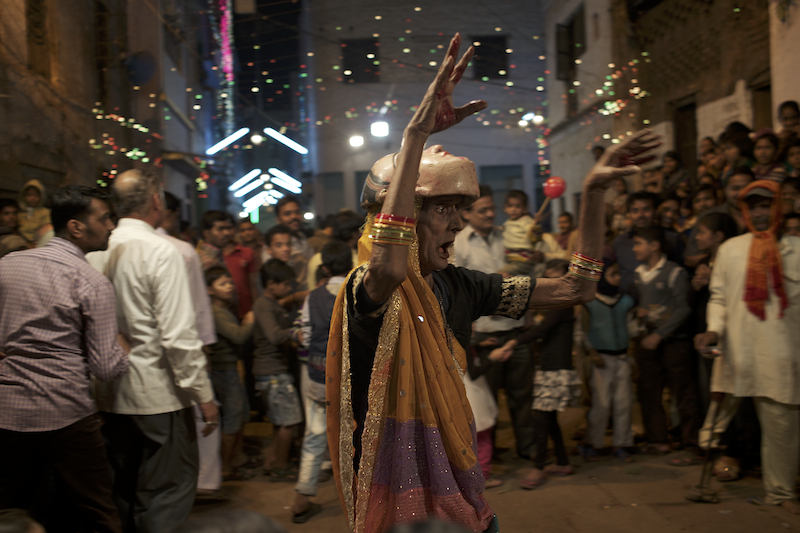 Hijra's are invited to dance through the streets till early morning. Varanasi, India.